• Designed To Make Exercise Easy For Your Dwarf Hamsters, Mice and Gerbils. • These Perfectly Sized Run-About Balls Allow Tiny Pets To Maneuver With Greater Ease. Bubble-Plugs Are Used To Close Opened Accessory Holes On The Sides Of Crittertrail Homes and They Can Also Be Attached To a 10 Funnel Climbing Tubeare Little Critters Like Hamster Mice And Gerbils Love It. • With The Fun-Nels Value Packs, You Can Give Your Crittertrail Home All The Twists and Turns You Need To Turn Your Crittertra. • Your Hamsters Mice & Gerbils Will Love It. • This Is Fun For Your Hamsters Mice and Gerbils. • With The Funnels Value Packs, You Can Give Your Critter Trail Home All The Twists and Turns You Need To Turn Your Crittertra. An Excellent Source Of Exercise For Pet Rats and Chinchillas, Plus Its A Fun Roly-Poly Toy For Ferrets and A Neat Pet Carrier. • For Hamsters, Mice and Gerbils. • Designed To Make Exercise Easy For Dwarf Hamster Mice and Gerbils. • Providing Pet and Pet Owners With Interactive Fun During Playtime. Workout Wheel For Dwarf Hamsters and Mice. • Used For Hamsters, Mice & Gerbils. • A Fun Way To Expand Your Crittertrail Home. Workout Wheel For Hamsters, Mice, and Gerbils. • Designed Perfectly For Hamsters Mice and Gerbils, The Glowing Run-About Ball Provides The Perfect Outlet For Your Pets Excess Energy. • It Provides Pets and Pet Owners With Interactive Fun During Playtime. • Providing Pets and Pet Owners With Interactive Fun During Playtime. • Sized Perfectly For Hamsters Mice and Gerbils, These Colorful Run-About Balls Provide The Perfect Outlet For Your Pets Excess Energy. • Perfectly Sized For Dwarf Hamsters and Mice. 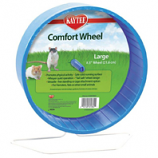 • Perfectly Sized For Hamsters and Gerbils. For Dwarf Hamsters, Young Hamsters and Mice.